There are picnic tables under the trees. Wildrose Road: at Wildrose Spr. 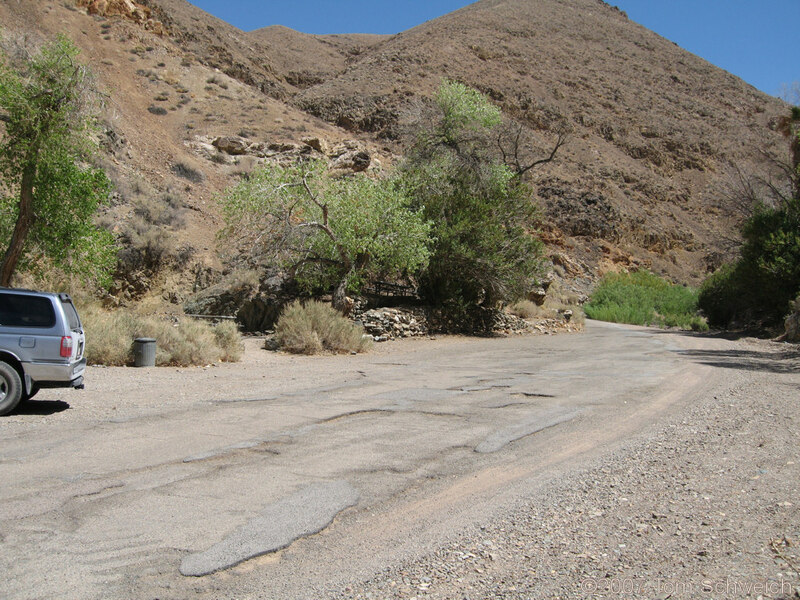 Other photos about Geography - Northern Mojave or Death Valley.